Anyone got a 3D printer they could run a prototype part I need for my turbo car? 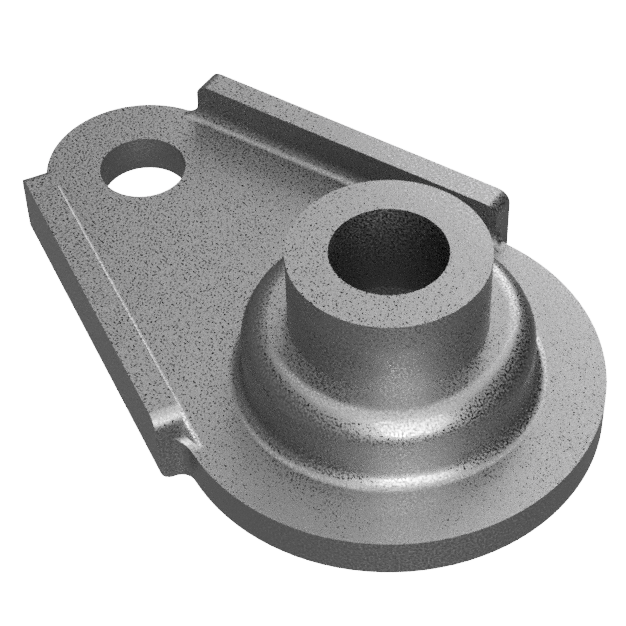 Have STL or STEP files from Fusion360. I just want to check the fit before I spend money on CNC machining. It's a small 1"x1"x2" piece. I'm also starting to think about investing in one of these. Any recommendations on the latest printers out there? I can print it for you. Send me the STL. I'll PM my email address. I know its easiest to get the model printed for free by a member, but for the future, here is a company that will do fast prototypes. 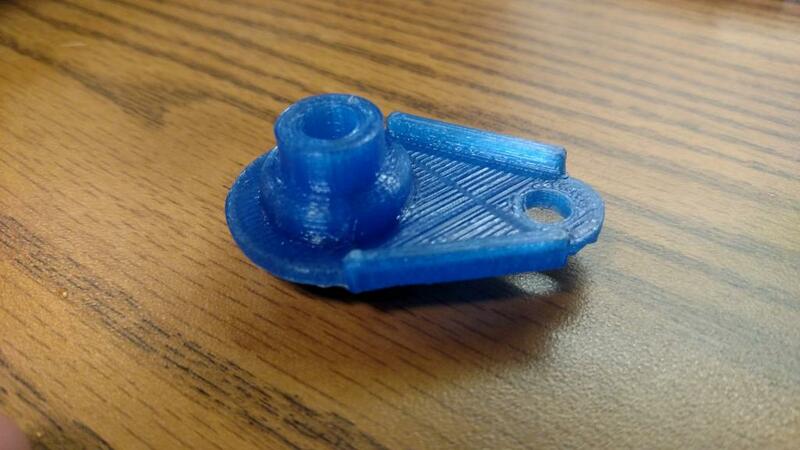 Mark, you may want to get someone else to print these parts. My printer is giving me trouble. It's printing the parts but not sure how nice they'll look. The print is 60% done and doesn't look too bad. This is the third attempt at the print. The first one was with the piece flat and the 2nd and 3rd attempts were with the piece standing vertical. There's 2 parts on this print. 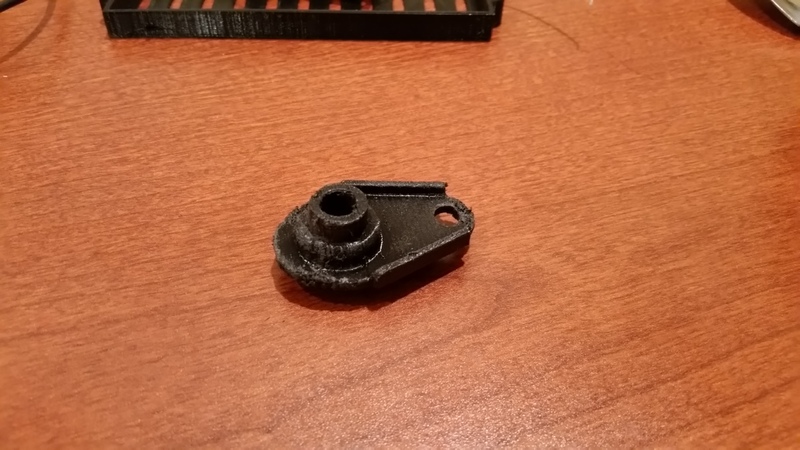 Print results are better when there are multiple parts small parts. The last layer printed has time to set up before the next layer comes along. 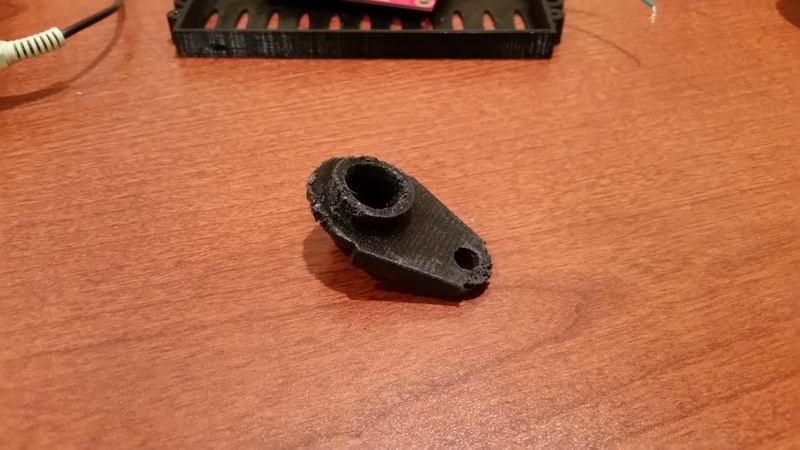 The print didn't come out that bad. Small prints like this have to be viewed as castings in need of finishing. Should be the right size though. You'll have to mic the holes if critical and clean up with a file. I'll drop this one in the mail. That should do the job, even if a bit rough looking. (IMG:style_emoticons/default/wink.gif) I appreciate it. I have a couple others in the works since this is also about seeing some outputs from various machines. So all this is a good learning experience for me. Aside from getting this part made, I'm really hoping I'll be able to develop some contacts and processes to start really building my car the way I really want to. I have a Stratasys uPrint SE in my classroom (I teach at a high school). They are currently (Fall 2017) $15,900. I used a grant to pay for it. Works pretty awesome. Parts look pretty clean when they come out. 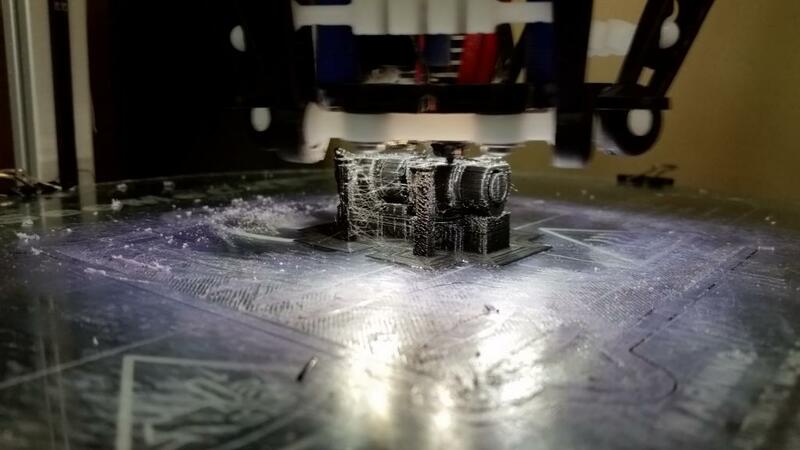 Makerbots are junk, IMHO. Another teacher had one and it just gave him problems. Send me the file and I'll print you one. I'll PM my email address. (IMG:style_emoticons/default/agree.gif) The Stratsys units are very nice, they have one at school and it puts the Makerbots to shame. Obviously the cost is much higher. I have my eye on Desktop Metal Studio System, @ over a hundred grand for the system and Then just under 50K for the rights to use it it is very expensive right now. 30+ alloys and your printing in metal, makes it worth to keep on my radar. No idea on the MakerBots or DaVinci's, but I know with the Stratasys repairs can be very costly. Many parts they will not sell unless you have a maintenance agreement and pay to have their service engineers work on the machines, luckily some of the parts have the original manufactures part numbers on them. I had to replace 4 of the build chamber fans, I was able to source replacements for about 20% of what Stratasys wanted. They do some sweet prints and I'll never be able to achieve the same results on my lowly Prusa i3 clone at home. I have a 3D printer. PM me if you still need this. I have a Zortrax M200 if your still looking. PM me if you still require a print. Lots of different printers mentioned. Why not everyone make the same part and lets see whose is the best. Mine's done. Who's next? Printed on a Makergear out of PETG. What does the other side look like? I printed one copy laying down like that with PETG but the support was nasty and the bottom surface needed a lot of work. I printed the one shown before standing up. I printed 2 parts to slow down the layer time but the top of the 2 parts still needed more time per layer.